Our range of products include Name Badges such as Plastic Round Name Badges and Plastic Name Badges. 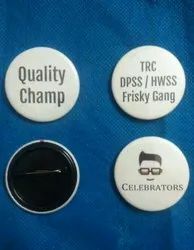 Our company specializes in offering our quality approved range of Round Name Badges. Being a quality-oriented association, we are indulged in offering a wide array of Long Name Badges.